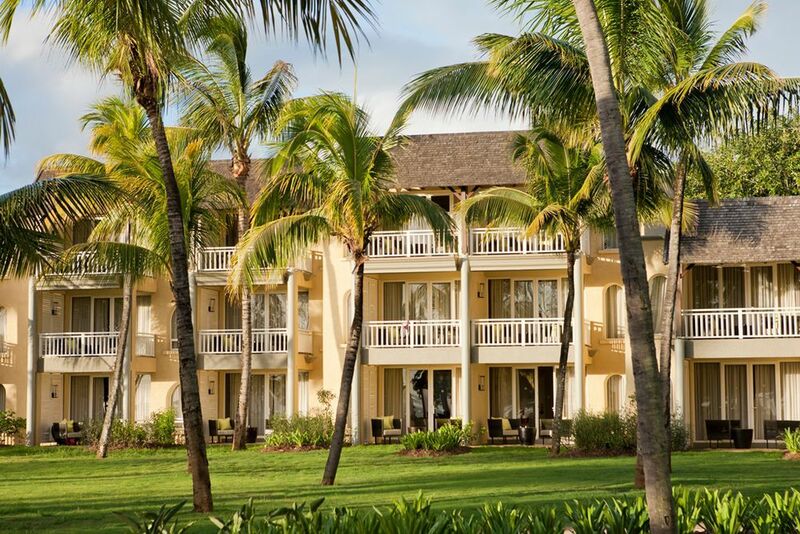 The Outrigger Mauritius Beach Resort is located in southern Mauritius. Enjoy the beautiful sunset by the pool and Bar Bleu with a cool drink. One of the hotel's swimming pools is located directly on the beach and the beach restaurant. The sun loungers by the pool invite you to relax, read and sunbathe. Relax at the dream beach or be active. 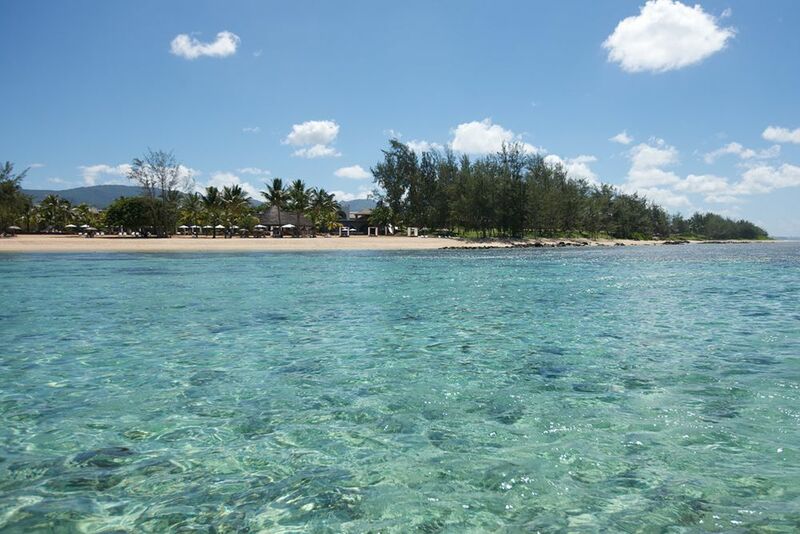 The Outrigger Mauritius offers many different leisure activities. 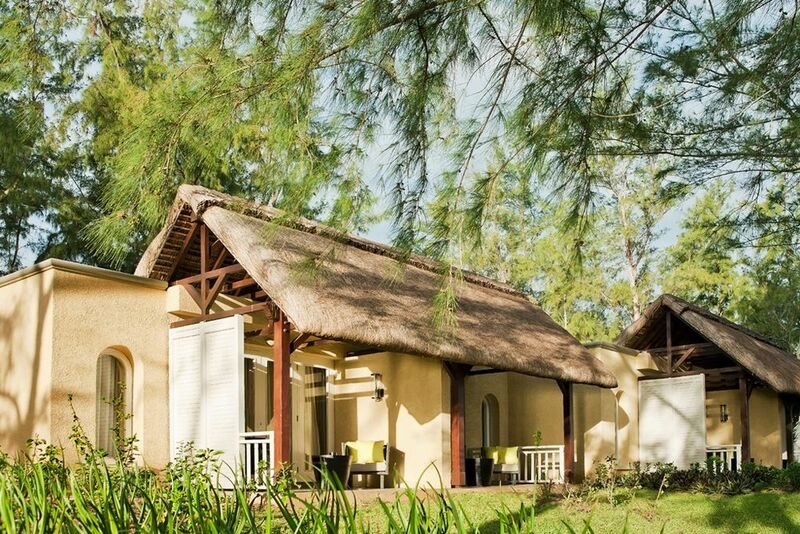 Surrounded by greenery, the Deluxe Seaview rooms are located. 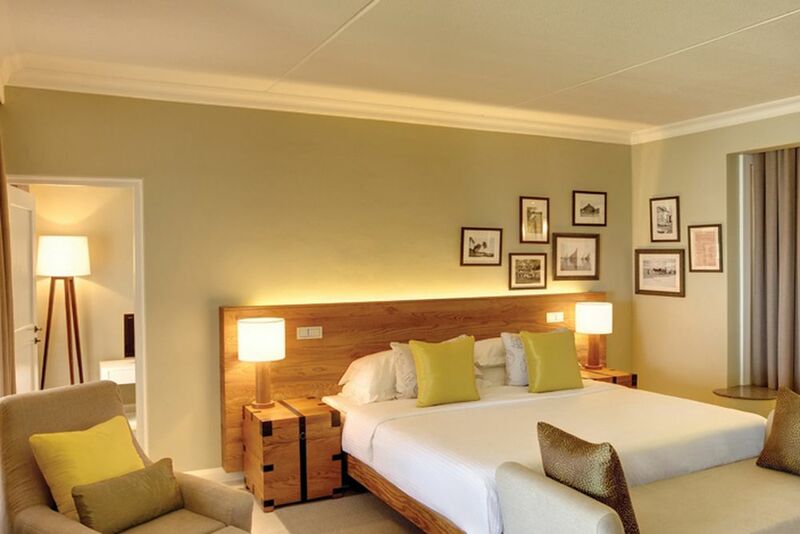 Spacious and stylish, the Deluxe Seaview Rooms are located in the Outere Mauritius. The perfect family accommodation is the Deluxe Family Seaview Room. With the second room, the family rooms offer complete flexibility and privacy for parents and children. 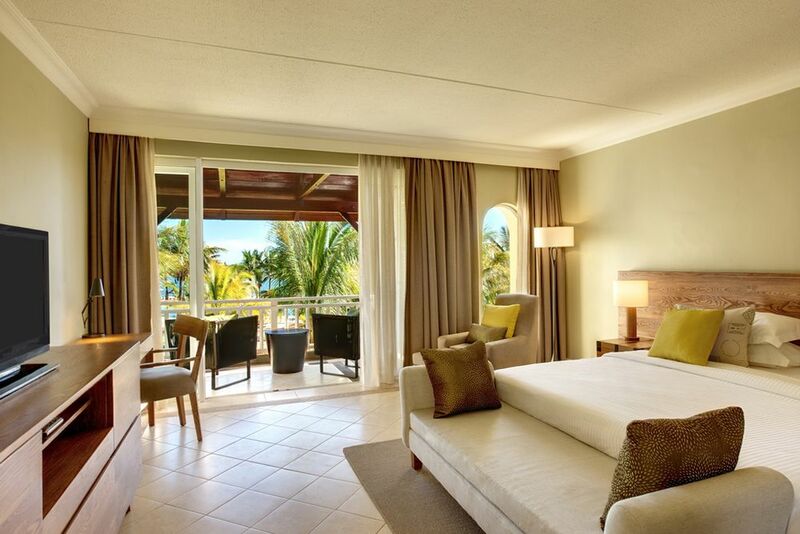 A total of 22 Beachfront Junior Suites are located on the seafront with unobstructed views of the ocean. 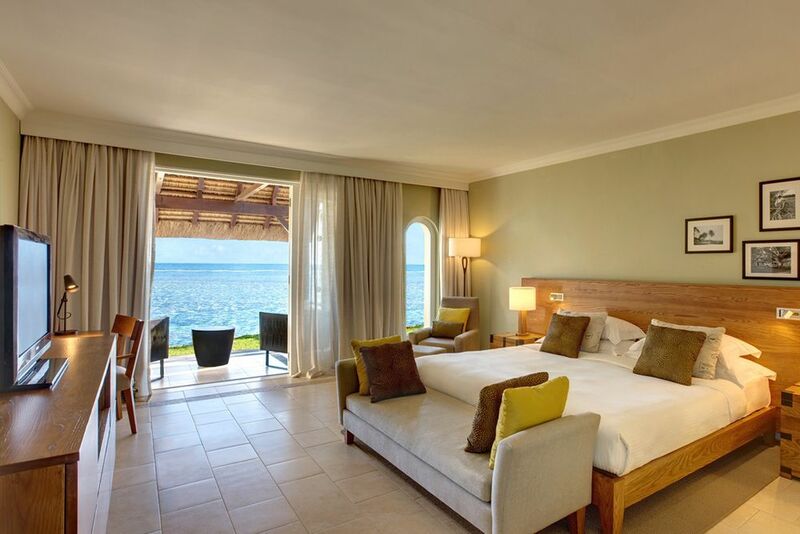 From your Beachfront Junior Suites you have a wonderful view of the Indian Ocean. 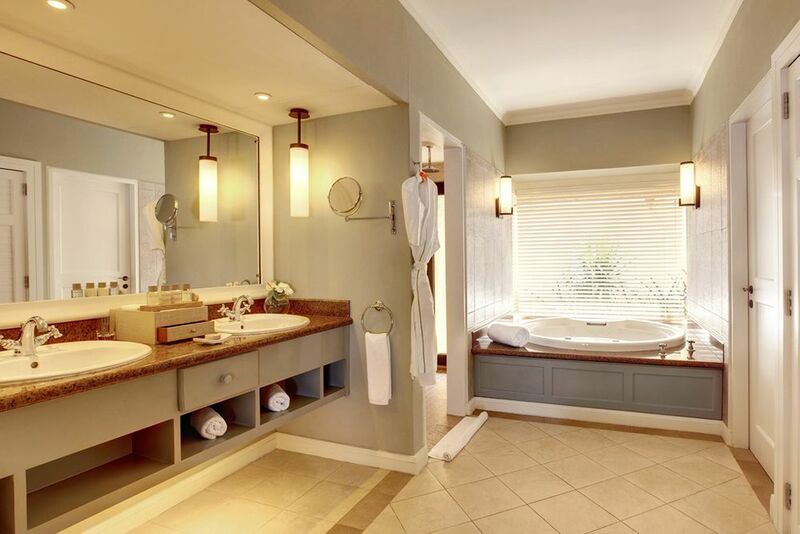 The bathrooms of the Beachfront Junior Suites also offer plenty of space to relax. The fantastic view of the turquoise water invites you to relax. In the evening you can make yourself at sunset in the Bar Bleu. How about a lunchtime snack at the Edgewater Bar & Grill? In the evening, Mercado offers a wide selection of delicacies from around the world with live cooking. In a relaxed atmosphere and chill-out music, you can enjoy your drinks in the Bar Bleu. Whether at lunchtime, in the afternoon or in the evening - the Bar Bleu convinces all day long. 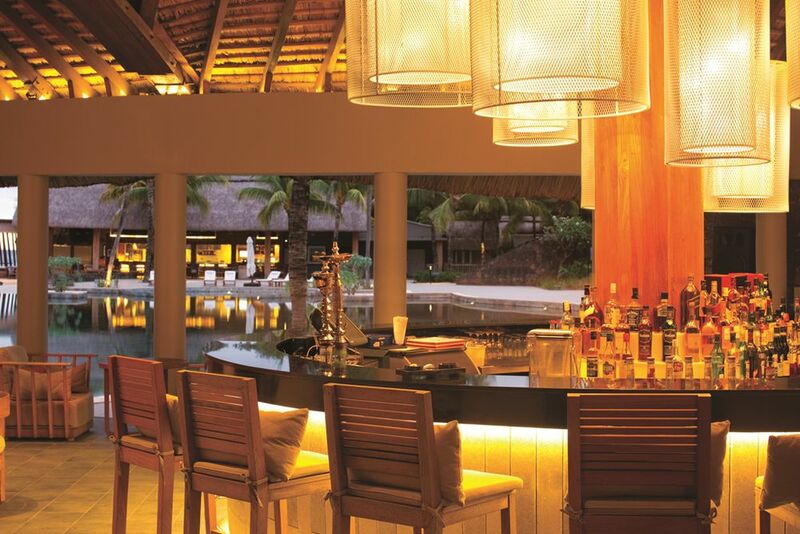 Wine lovers are well taken care of at Outrigger Mauritius. 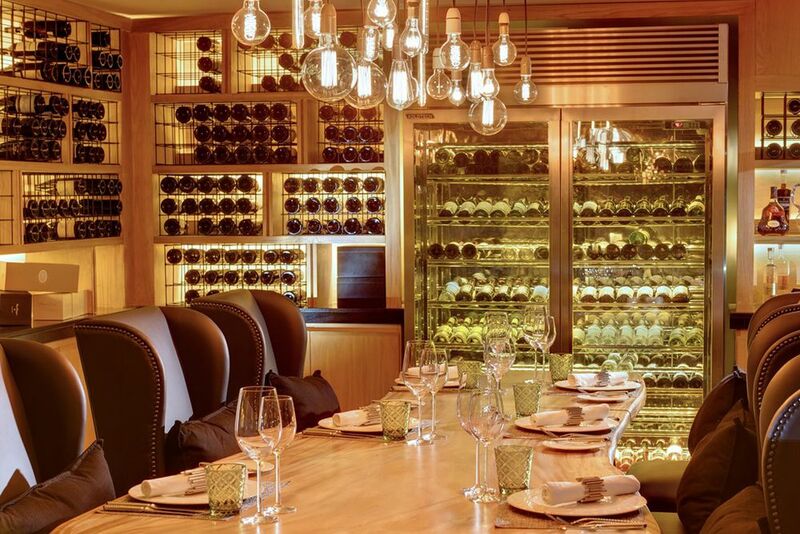 Spend an evening in the Roubens wine cellar. You must not miss this on your vacation. The Navasava Spa brings body and mind back into harmony. 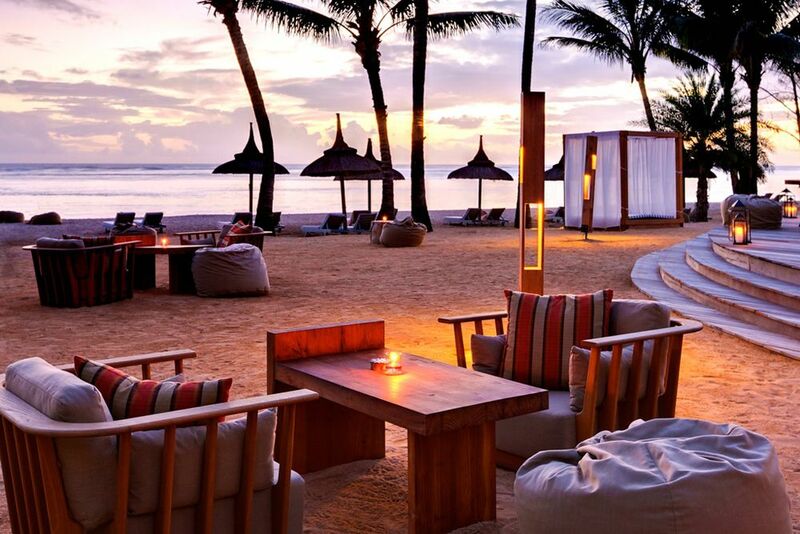 You can experience one of the most beautiful sunsets in Mauritius on the beach. 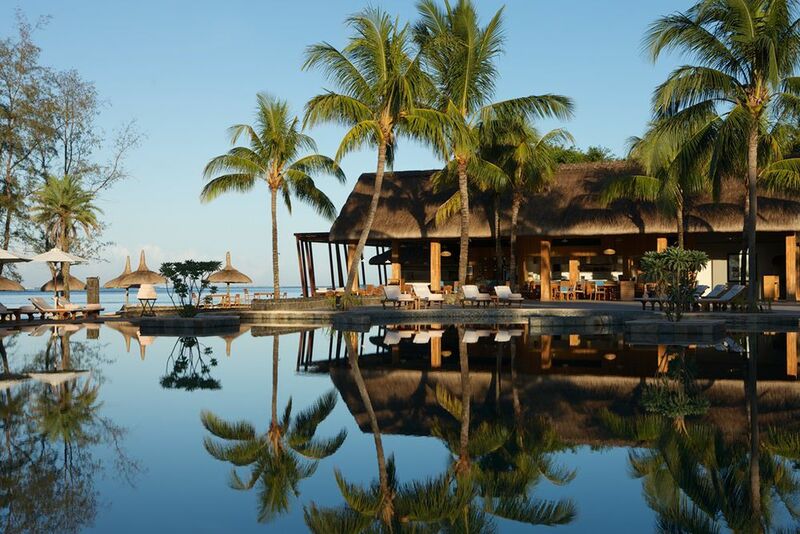 Nestled in the nature reserve of Bel Ombre, discover the tranquil Outrigger Mauritius Beach Resort with the charm and tradition of a 17th-century Mauritanian sugar cane plantation. 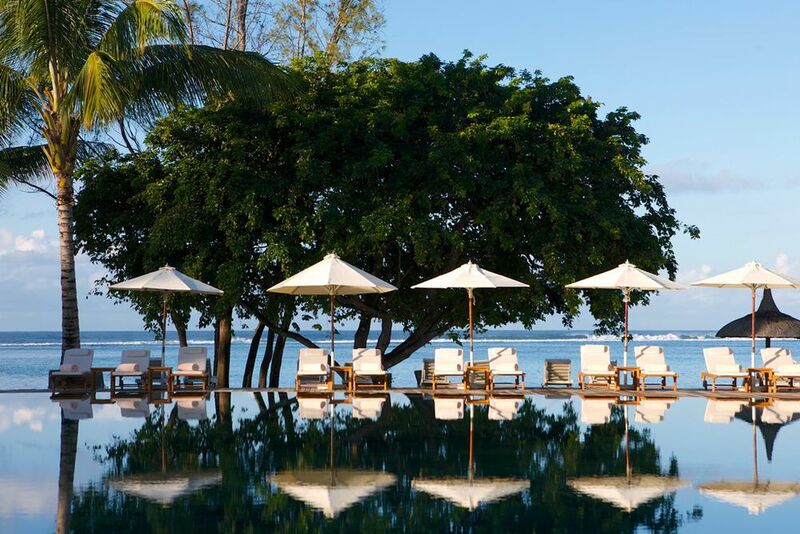 The stunning beach location along the turquoise lagoons of the Indian Ocean will enchant you into another world. 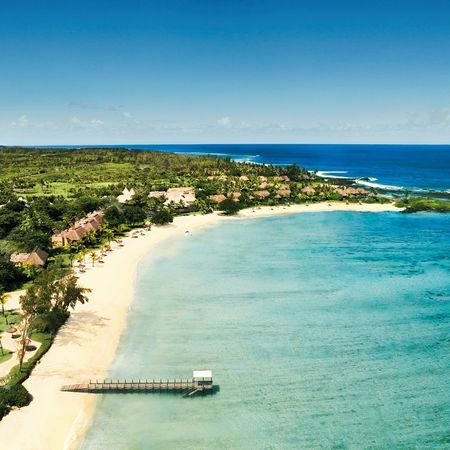 Radiant blue skies with sun-kissed skin, glistening aquamarine sea refreshing the tropical day, flourishing landscapes to feed the wonder in your eyes and the gentle ocean breezes reminding you of the perfect escape Mauritius offers. 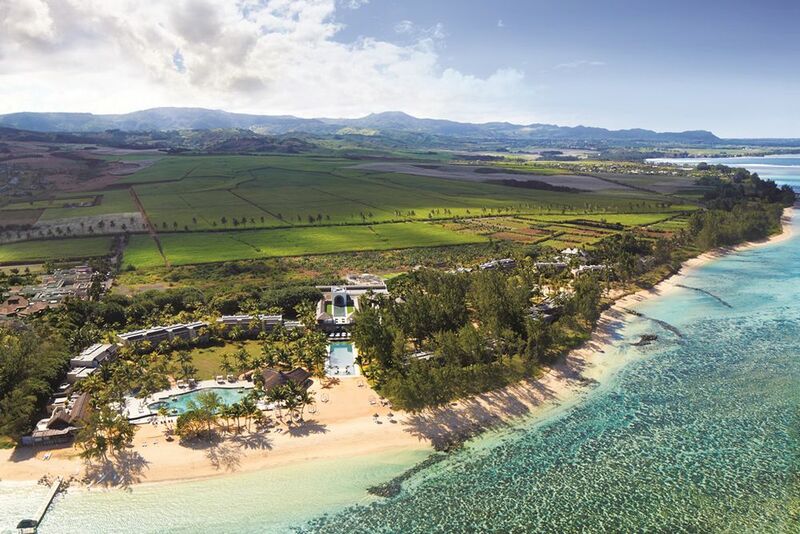 Discover the beauties of the verdant nature reserve at historic Domaine de Bel Ombre, or casually stroll along the tranquil beaches for an experience within itself. Choose a relaxing holiday, or an active one, with the several different activities to choose from. 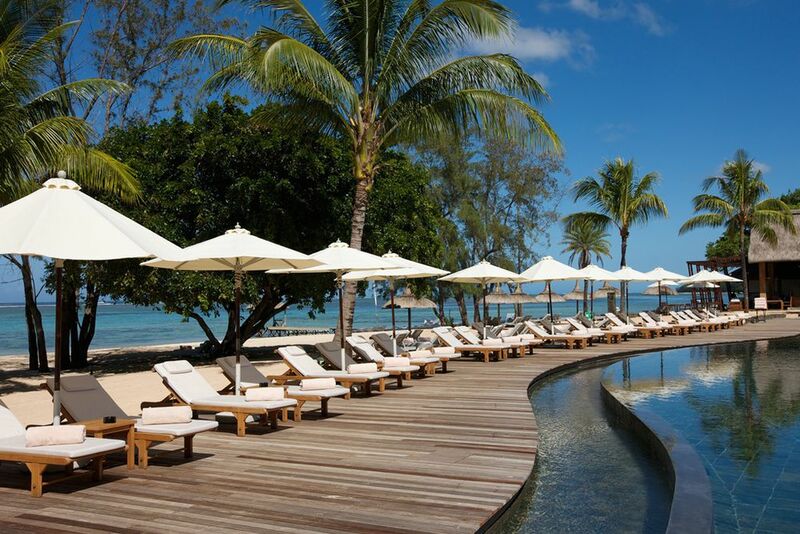 Outrigger Mauritius is easily accessible since it is only 45 minutes away from Mauritius International Airport. 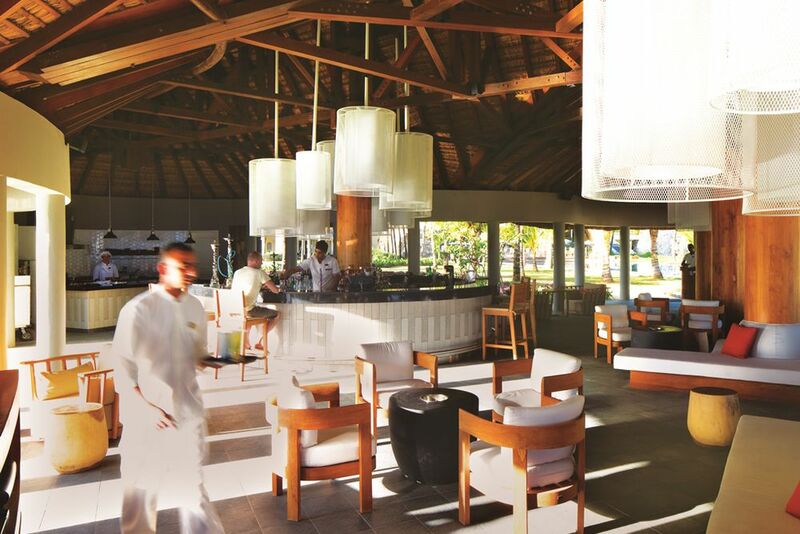 Captivate your senses and discover the modern Mauritian cuisine the resort offers. Greet your morning at Mercado with a sumptuous breakfast to get you ready for your adventure packed day. The French bakery offers a variety of freshly baked bread straight from the oven. After breathtaking sunsets, the evening at Mercado turns into an interactive market restaurant concept, with a show kitchen and live cooking from around the world. Mercado even caters to younger guests by offering a buffet for children. Located next to the Mercado, the Rouben’s Wine Room is an ideal setting for an intimate dinner or exclusive wine tasting experience. 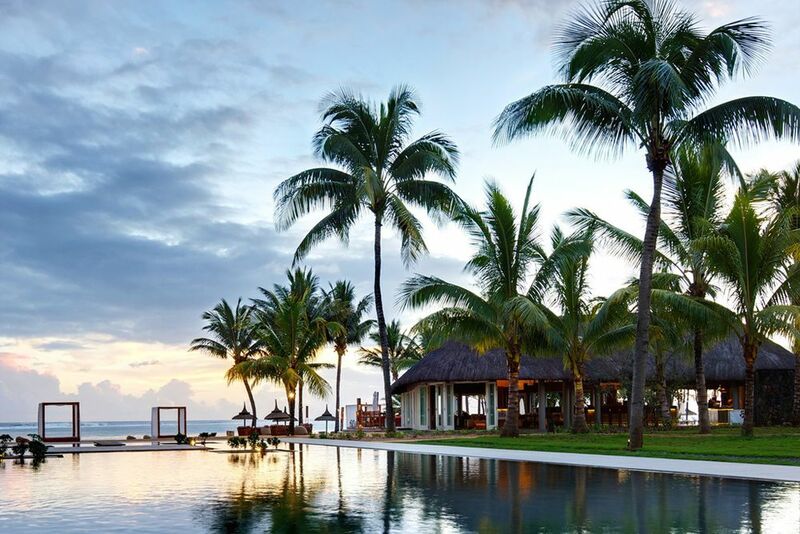 Can’t get enough of the stunning views of the Indian Ocean? 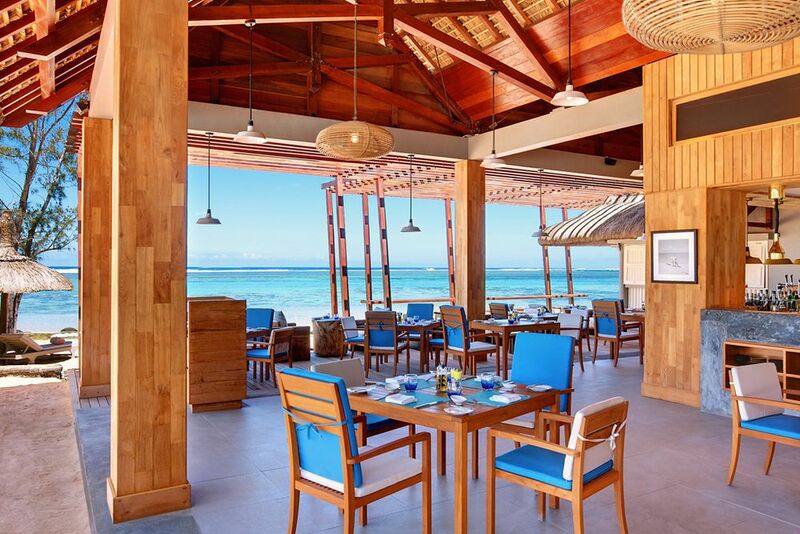 Dine at Edgewater, adjoining the resort’s beachfront swimming pool, for sandwiches, salads, burgers, stir-fry and ice cream selections during the day. 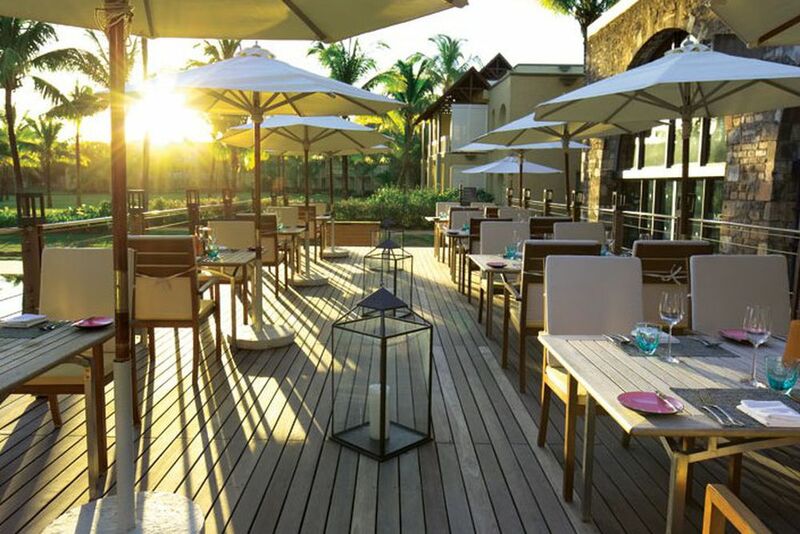 At night, the restaurant offers local Mauritian dishes, contemporary Eurasian-inspired cuisine, and refined wine parings. “Willie’s Rum and Crab Shack” cooks up delectable crab dishes, delicious seafood, and a world-class selection of local rums available to taste. Discover the resort’s signature beach bar experience at Bleu Bar for a chill-out with live creole jazz and sega rhythms to spice up the mood, and creative cocktails to make your taste buds go wild. For a unique experience, head over to The Plantation Club for a French Colonial atmosphere to try different teas and wines. The Coral Kids Club provides a variety of entertainment for the younger guests, and is located right by the pool and beach. From the terraces and balconies with superb views over the sea, and rooms located directly on the beach’s sandy floors, the 181 rooms and suites offered provide unforgettable experiences for all guests. All guestrooms feature a balcony or garden, air conditioning, LCD TV, telephone, wireless Internet access, luxurious bathrooms with tub and shower, safe, music system with iPod docking station, tea and coffee making facilities, and a minibar. Deluxe Seaview – Approximately 63 square meters, the 85 Deluxe Seaview rooms are spacious and stylish with a large bathroom, walk-in closet, and terrace/balcony overlooking the turquoise ocean. For a maximum of 2 adults and 1 child up to 17 years old and 1 baby under 2 years old. Deluxe Beachfront – Approximately 63 square meters and fully equipped, it has views of the endless ocean and only a few meters from the beach. For a maximum of 2 adults and 1 child up to 17 years old and 1 baby under 2 years old. Deluxe Family Seaview – About 74 square meters, a unique concept on the island offers 37 family rooms with complete flexibility and privacy for parents and children. 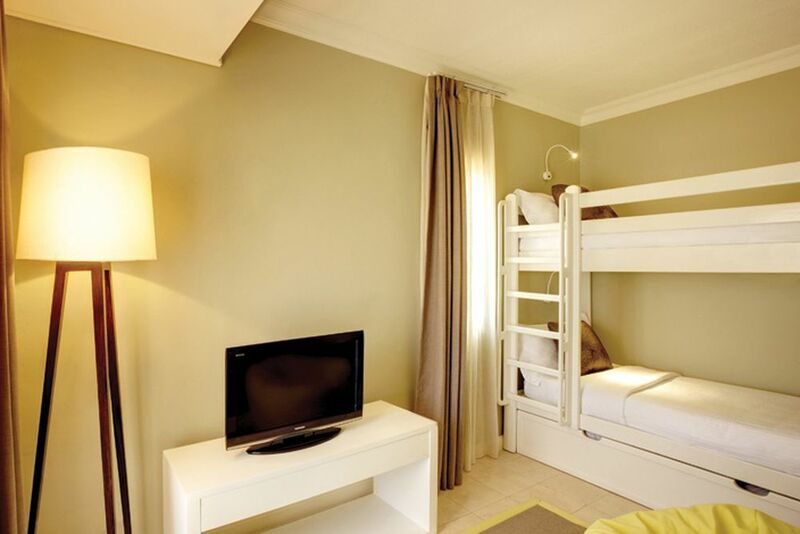 The extra connecting room for children is equipped with bunk beds and a TV, away from the parents’ room so everyone can enjoy their privacy. For a maximum of 2 adults and 3 children up to the age of 17 and 1 baby under 2 years old. 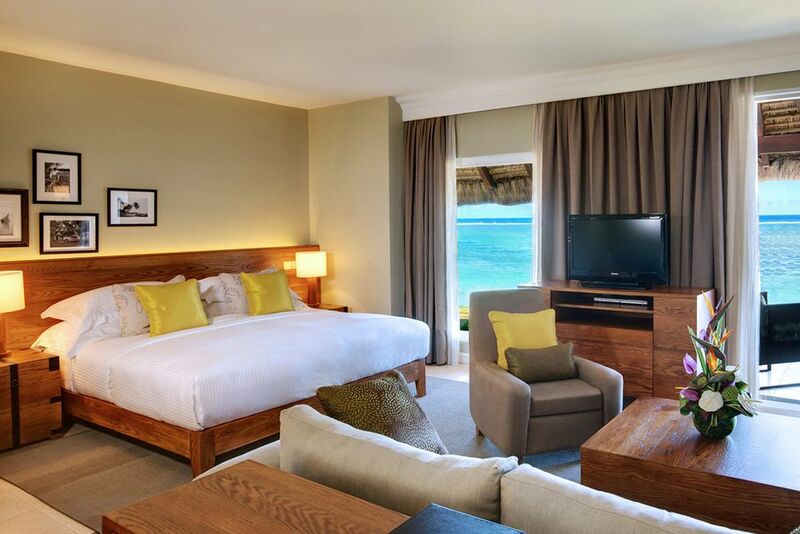 Beachfront Junior Suite – Approximately 78 square meters, these 22 suites have access to the Club Lounge, are located at the sea side and offer endless views of the inviting, blue ocean. The large bathroom is equipped with wardrobe, safe, 2 sinks, a whirlpool tub for two and a separate shower. For a maximum of 2 adults and 1 child up to 17 years old, and 1 baby under 2 years old. Other suites and villas available upon request. 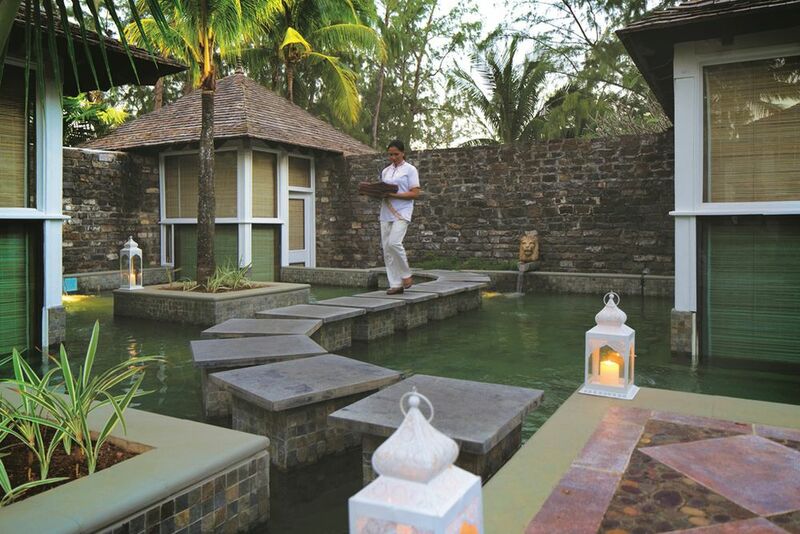 At Outrigger Mauritius’s Navasana Spa, bring your mind and body back to tranquility with a soothing massage. Pamper yourself even more with a soothing spa treatment that brings your mind at ease. For all of the sport lovers and guests that wish to stay in shape on their holiday, there is a fitness center with professional equipment and training at its finest. The hotel has an array of leisure activities for all sorts of guests to enjoy! Have a fun packed day trying a number of different water sports, like scuba diving, snorkeling, kitesurfing, kayaking, deep-sea fishing, sailing or canoeing. If you’re more of a land activities lover, then the hotel has loads of options available as well: tennis, volleyball, table tennis, bowling, biking, and golfing at a nearby 18-hole championship golf course. 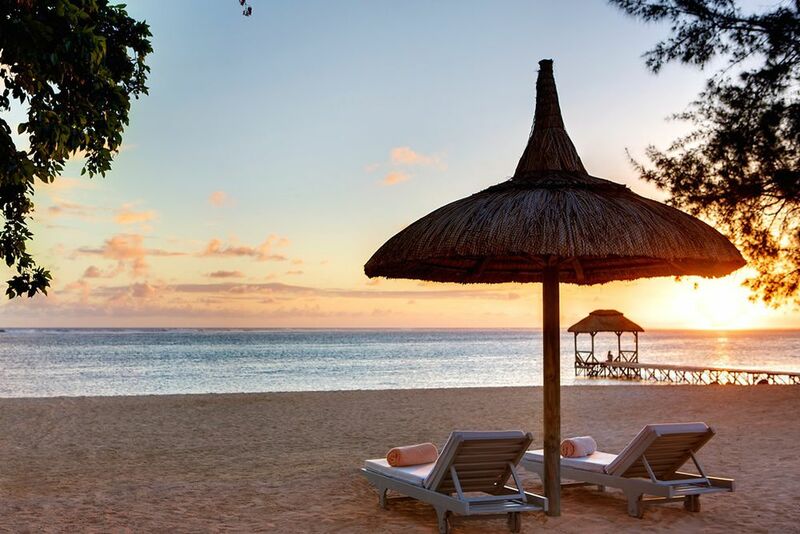 Discover true warmth on one of the best beaches in Mauritius.